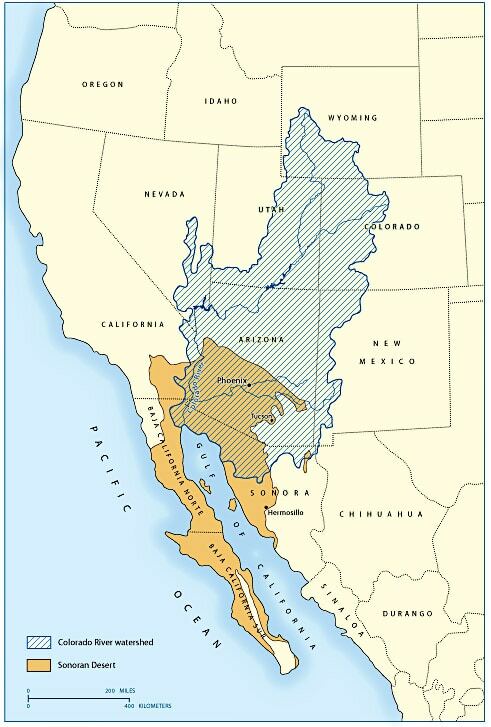 Wildly diverse and wonderful: These are our regional waters — from the Colorado River through the Gulf of California. Wetlands, lakes, riparian areas, springs, rivers and the Sea of Cortez are responsible for sustaining plant, wildlife and aquatic life, for shaping geography, and for inspiring stories of tradition. The Sea of Cortez also is responsible for the unique climate that provides the Sonoran Desert with its summer rainy season. Extremely diverse, the Sea of Cortez contains one of the world’s smallest and most endangered marine mammals, the vaquita, sea turtles and other rare fish. 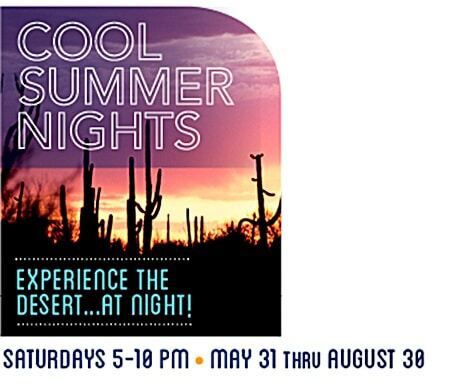 A center of Southern Arizona’s water story is Warden Aquarium at the Arizona-Sonora Desert Museum(ASDM). The Rivers to Sea exhibition tells an important in-depth story of our region’s ecosystem and the inhabitants who depend on it. The Aquarium conveys a progressive narrative about the desert sea over 2,500 miles of coastline. About 50 species live in the Aquarium’s freshwater and saltwater tanks, with interpretive displays that assemble a diverse undersea story. March 2014 pulse of water for restoration of Delta ecosystems flows through and around Morelos Dam. Rivers and riparian environments are critical to many species of fishes, amphibians, birds, and plant life. It’s important to understand how the adjacent desert is impacted by the Sea of Cortez, and how we impact the thousands of plant and animals species, many threatened by over-harvest and inefficient fishing practices. The Warden Aquarium also includes a touch tank with marine invertebrates for hands-on, sea-life encounters. 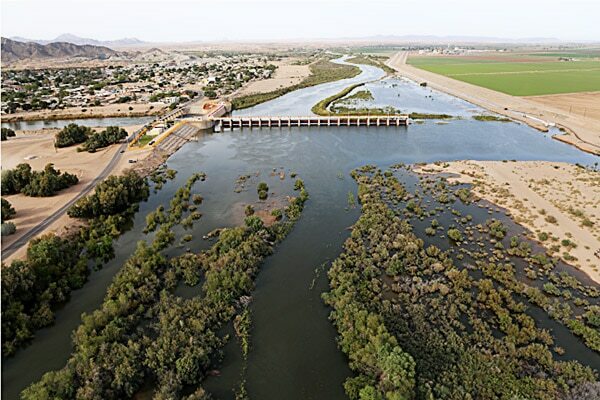 The Aquarium experience is a story well-told about the Colorado River, as it wends its way southward to the Gulf of California, creating watersheds and aquifers, and sustaining life. There are symbols on pottery as well as in stories that reflect the gratitude of a desert people for the gift of water. O’odham stories of ancient trade routes to the Sea of Cortez document the journeys made to procure seashells and other items for trade. A Salt Pilgrimage was a rite of passage for young O’odham men who came of age through the journey of tradition, ceremony and athletic feat. The Gulf of California is four days’ journey from the Papago country, and for unknown generations the Indians have been going there to hew out some of the rocky brown substance from the shores where standing water has left it. The almost waterless journey traverses some of the most sinister country on the North American continent and the Papago name for the south is ‘the direction of suffering.’ But they have never shrunk from suffering. Instead, they have made it the cornerstone of their philosophy and the passport of dreams. The salt journey has seemed to them difficult enough and the sight of the ocean amazing enough to bring a man into contact with the supernatural. I would love to know more about the long journey for salt. First I thought it was brown, then white crystal. But thank you for some mythic material in there. An exciting and interesting journey fr shells and salt.